Ali Ahmed introduced the paper by saying that he is going to bring the practise out of the theory. He assessed the utility of force for India in addressing its Pakistan problem. He explained that India has been a victim of Pakistan’s proxy war for over two decades and relations between the two countries remained very adversarial with costs, risks, uncertainties and opportunity costs. To deal with this problem, India has been adopting a strategy of restraint against Pakistani provocations through subconventional deterrence where option for use of force is being kept in reserve. But the continuation of Pakistan’s proxy war against India proves that subconventional deterrence is only partially effective. In recent years, India has been attempting to strengthen its deterrence by both defence acquisitions and doctrinal evolution. He pointed out that thinking through the possibility of use of force can help addressing the Pakistan problem. He, however, said that any kind of use of force must be in light of India’s national aims and objectives. 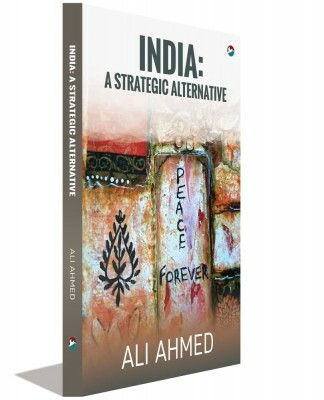 He provided an overview of political and strategic aims for India in addressing its Pakistan problem with use of force. He also provided operational objectives that are to be provisioned by the implementation of the service doctrines, to include Cold Start. He opined that once strategic objectives are achieved in light of political aims, joint objectives are framed from which, in turn, service specific objectives are derived. He also spoke about the diplomatic and intelligence instruments for achieving the stated objectives. He emphasised that at the diplomatic level, use of India’s soft power, economic leverage and the influence of the Diaspora would be more useful. In the second part of his presentation, he outlined the conflict scenarios in which military forces are likely to be used. He said that the proximate cause of conflict between the two countries is most likely to come out from a terrorist attack of the magnitude of Mumbai 26/11 and its linkage with the Pakistan establishment would compel India to take military action. He suggested that for India to see the gains, economic consequences of such military actions need to be calculated before hand. In the light of aims, objectives and methods, he also outlined the three possible outcome scenarios of such military actions as benign, benign-malign and malign scenarios. He identified that use of force can be more effective if it is melded with other instruments of national power. Besides, sweeteners need to be offered to Pakistan; otherwise it would turn into a risky coercive exercise into one of compellence with questionable efficacy. He said that given the attendant problems of application of force, a non-military resolution of outstanding issues must instead be pursued in right earnest. In the end, he said that a limited war is useful in conditioning Pakistan, but for that diplomatic and political prongs need to be worked as much as the military and intelligence prongs of strategy. Anit Mukherji suggested that the paper needs to include interviews of government officials in defence services, ministry of defence, politicians, experts, etc. He opined that there is not much of discussion on military doctrine in India. So far the Cold Start doctrine has not been operationalised in India. To destroy terrorists camps, could army really operationalise this. In case of full-fledged war, it could not be operationalised. He suggested that the lessons learned during Operation Parakram need to be studied. Col Vivek Chadha said that utility of force need to be assessed taking into account three areas where international conflict still prevails i.e. i) Afghanistan, ii) Iraq, and iii) West Asia. He said that force is not always necessary to achieve the stated strategic objectives. For instance, despite military mobilization during Operation Parakram, how far those objectives were achieved. So far as Kashmir issue is concerned, its solution lies more within than outside. The issue can be resolved within politically and through socio-economic measures. He pointed out that India needs to resolve Kashmir issue within to keep Pakistan out. He suggested that one must look at the timeframe and location of such military actions. Cdr. Sarabjeet Singh Parmar suggested a focus on two aspects: i) Grand strategy and ii) Use of military doctrine. He said that these two should be prepared and assessed before taking any military actions. In case of grand strategy, national values and interests need to be clearly defined and political direction taking into account the international legal limitations should be shaped accordingly. He added that operationalisation of war doctrines and its consequences must be assessed in advance to see military gains. Professor Sumit Ganguly suggested four areas of focus. First, the presenter needs to come out clearly to describe what lessons could be learned from Bernard Brodie and Clausewitz for India-Pakistan context and how could they be useful in explaining the possible use of force in India-Pakistan conflict. Second, he said that the deterrence strategy has failed in the context of Pakistan and it has its limitation to deter Pakistan to undo something that has already been done. Third, citing the US strategic goal of regime change in Iraq and its ramifications, Prof. Ganguly pointed out that no Indian would like to change the regime in Pakistan. Finally, he suggested that the political, strategic and military deterrence strategy that the presenter has proposed is abstract, and that he needs to explain what exactly could be carried out through these strategies. He added that in case of India-Pakistan conflict, diplomacy will play a crucial role than military strategy. In the 1980s NATO had created the Air Land Battle Doctrine in Europe to fight against the USSR. However, it used this doctrine only during Iraq war. There was a Pakistan connection in September 11, 2001 terrorist attacks as well as in the recent Times Square plot. Mr. K. Subrahmanyam asked as to why did not the US carry out military operations against Pakistan? One participant asked how the three scenarios detailed by Ali Ahmed applied to incidents like the 26/11 Mumbai attacks? Moreover, the idea of sweetener has to be fleshed out. Another participant pointed out that one does not go to war to concede. Moreover, if the fundamental cause of using force against Pakistan is regime change, then it would bring about the worst result. Instead, the focus should be on changing the behaviour of the Pakistan Army. How can a limited war gravely affect India’s economy? This assertion needs to be substantiated. 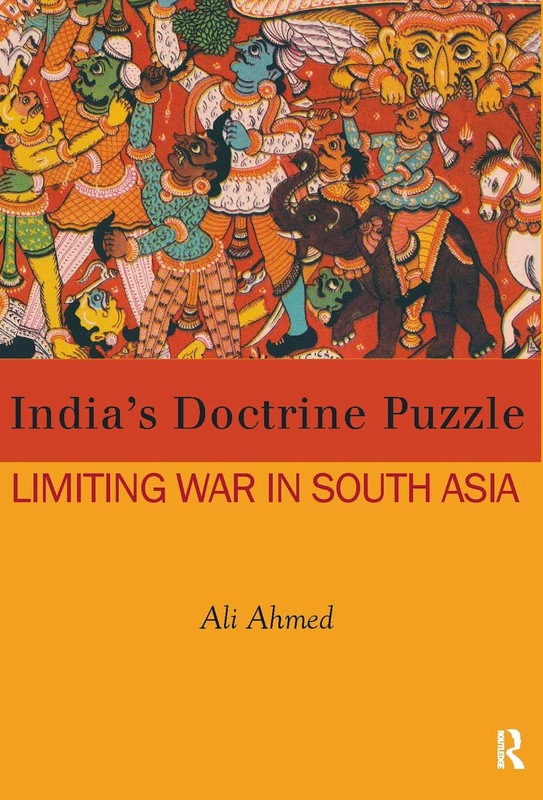 Second, a limited war cannot be fought to effect regime change in Pakistan, but at best to influence the calculations and strategy of Pakistan. Moreover, to talk about a general peace with Pakistan at the end of such a conflict is also far-fetched. Further, instead of attempting the rather difficult task of compelling Pakistan to stop cross-border terrorism, it would be far more easier for India to exploit the internal turmoil within Pakistan as a means to influence its decision makers. In view of the escalation and de-escalation of war, de-escalation of war is a very rational choice for India while escalation of war is a rational choice for Pakistan. By escalating limited war, Pakistan can build international pressure on India. Question is what would be Pakistan’s nuclear option during this limited war. So far as giving sweeteners to Pakistan is concerned, this has failed in the last 60 years. Whether Prime Minister Atal Bihari Vajpayee’s Lahore diplomacy or Prime Minister Manmohan Singh’s opening to Pakistan and providing money to flood victims, everything fails. During Kargil war, it was because of US and China’s pressure that Pakistan withdrew troops from Line of Control. Then what kind of sweeteners do you want to give to Pakistan? What is your framework? What you want to exclude and include? Engagement through dialogue fails against Pakistan and does not help improve the situation. Can military and intelligence strategy make Pakistan hesitant? Many people are worried about the Cold Start doctrine. It was prepared after Operation Parakram. India has fought four wars with Pakistan. After the incidence of 26/11 Mumbai attack, where you could put the Cold Start doctrine against Pakistan. During chemical or biological war what could be done? In the last ten years, the international environment has changed significantly. The US fought two wars – Afghanistan and Iraq which led to geopolitical change in this region. India links Pakistan in its Central Asian strategy. India and Pakistan relations will depend on this. What can be done in this regard? 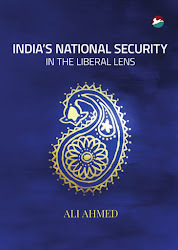 Maj Gen Banerjee complimented Ali Ahmed and said that the paper can be summarized in two points i.e. i) Utility of force against Pakistan and ii) Search for a doctrine to do that which will continue. He pointed out that the use of nuclear option between India and Pakistan will be trilateral where China will be included. However, he emphasized that nuclear exchange between the two countries during a crisis will tantamount to a policy failure. He concluded by thanking the panellists and the gathering for a constructive engagement.